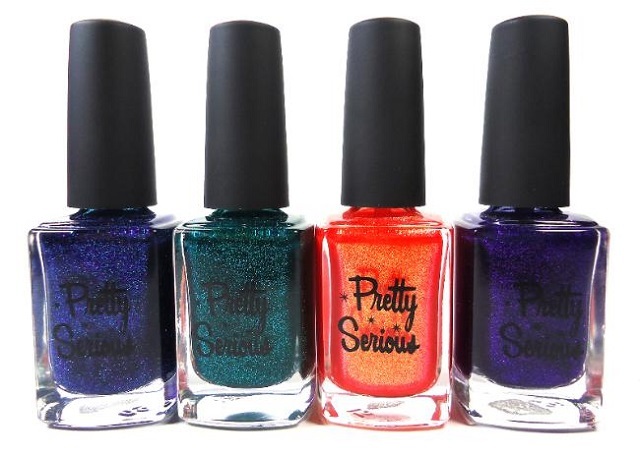 Four incredible new shades have just been added to the Pretty Serious "Seriously Random" collection and you can get your claws on them right now! You voted for your favourites and here they are! CYBERNETIC - In the year 2165, a cybernetic nail polish goes back in time to 2013 with a mission to assimilate the nails of all the ladies into the Pretty Serious network with it's advanced nanotech. Will you fight assimilation? Do you want to? 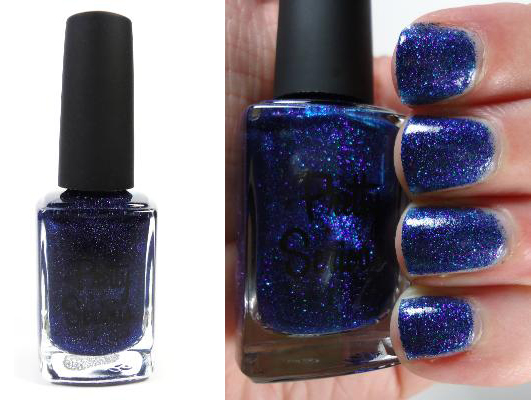 GRIMM DEMISE - Little children don't fare well in the shimmering, dark forests where the witches lie in wait, and now you can wear this fairytale on your fingertips as well. 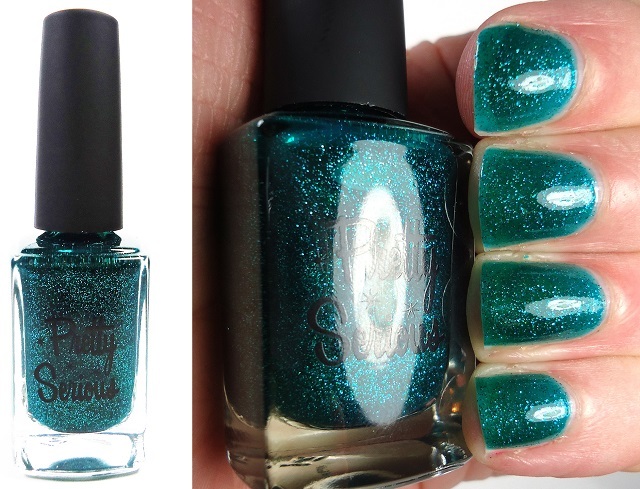 This sparkly teal polish has it's own intriguing aura of dark magic about it. MY DARLIN' CLEMENTINE - Now y'all know what Huckleberry Hound's been singin' 'bout all this time! 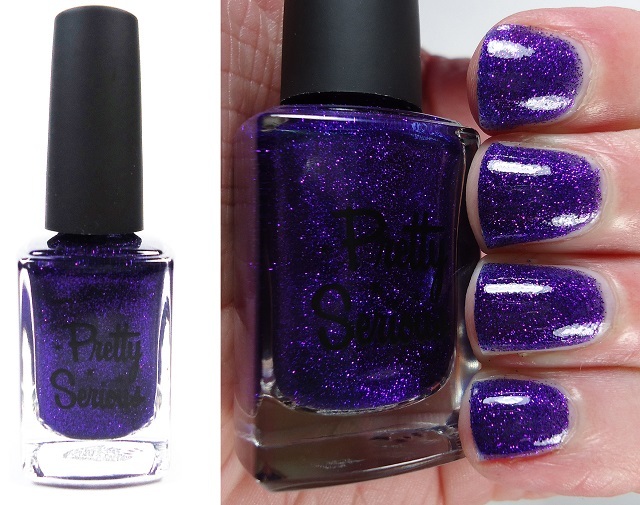 PURPLE MONKEY DISHWASHER - Our most requested Seriously Random polish is finally here! Purple Monkey Dishwasher does not contain any actual monkeys (hey, we're vegan and cruelty free! ), and it won't actually wash your dishes for you, but it is 100% purple! Sparkly purple! 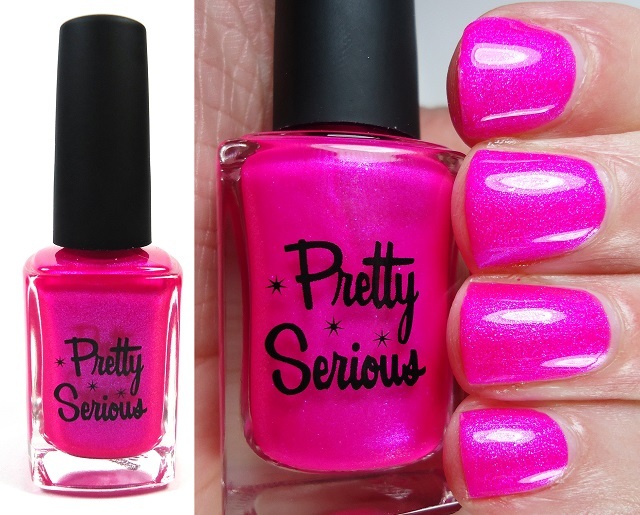 Pretty Serious polishes are DBP, Toluene and Formaldehyde Free as well as Cruelty Free and Vegan friendly! We are designed and manufactured in Australia and each polish comes fully packaged in specially designed boxes (see left for an example!). We ship worldwide from our store (yes, everywhere!) 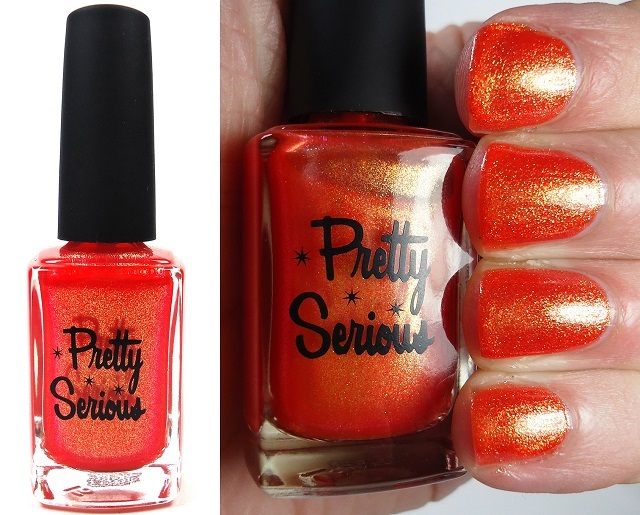 and are also available from online etailers Llarowe in the USA, Pshiiit Boutique in France, Norway Nails in Norway and Mei Mei's Signatures in Singapore. OMG Purple Monkey Dishwasher and The Pink One!! I need!! I love Grimm Demise, so beautiful!!! The purple is just amazing.